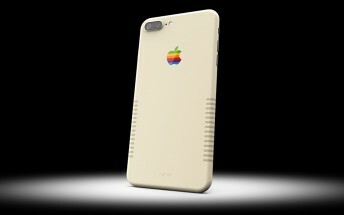 Colorware, the company that does custom paint jobs for electronics in preset configurations or any color of your choice, has announced a new custom paintjob for the iPhone 7 Plus that gives it the retro 1984 original Macintosh look. 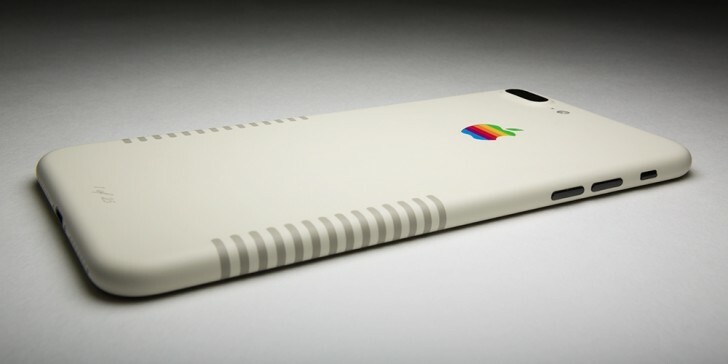 Called just the iPhone 7 Plus Retro, the paintjob features a complete recoat of the back in the beige color scheme with dark beige stripes on the sides and the rainbow colored Apple logo. The front of the phone is black. The phone itself is a 256GB iPhone 7 Plus that is SIM-free and carrier unlocked. Now for the price. The iPhone 7 Plus Retro is expensive, as Colorware products tend to be, but especially so in this case, with a price tag of $1899. The phone will be sold for a limited time, with the first 25 being numbered.